From this Monday, April 1, the fun, or more likely the misery, will stop. The FOBT train will hit the buffers and the betting and racing industries will undergo significant change. For many people who use these controversial contraptions the imposition of a maximum stake of £2 per play rather than the current £100 – something akin to selling beer in thimbles rather than pint glasses – will come as a surprise. 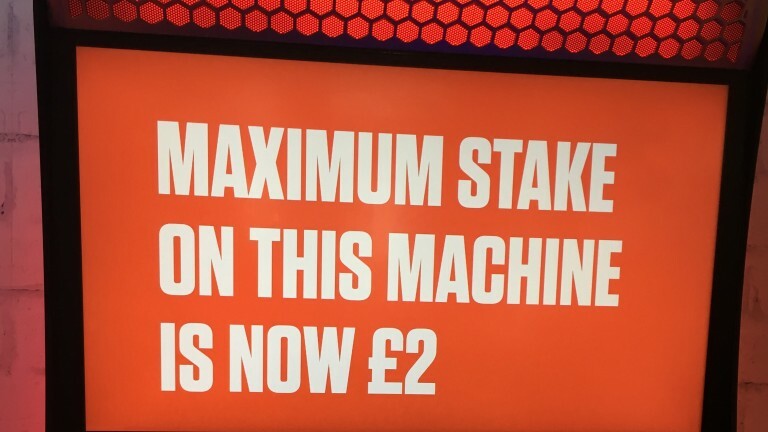 They will probably have seen the odd headline or watched a news item when speculation over what the new limit would be was at its most fevered, but it is likely that betting shop staff will be doing a lot of explaining on Monday when the new rules come into effect. Racing has already had a taste of what lies in store if widely accepted predictions of around 3,000 betting shop closures are accurate. Pre-emptive prize-money cuts were recently announced by racecourses that can see the writing on the wall. While these have since been delayed by various means including the draining of levy reserves, the long-term reality is that returns to owners, trainers and jockeys which increased when shops were springing up to maximise the FOBT opportunity are certain to drop, meaning everyone in the sport will feel the pinch. The rainy-day money has been dipped into to prop up 2019 prize-money levels but the rain is going to keep falling. Bookmakers with retail outlets have already braced themselves for what lies in store, and many of their current employees will have to seek alternative means of making a living, something I feel has not had the attention it deserves. But the huge cut in maximum stakes has been introduced in order to benefit Britain, and let’s hope it does. Let’s hope those who have allowed themselves and their families to suffer extreme hardship through their addiction to the flashing lights and the allure of a big jackpot will either not gamble at all or will do so in a far less damaging manner. I found myself with an hour to spare while my car was being mended last week so I strolled to the local betting shop and fed £40 into a machine. It probably took me 20 minutes to turn it into a small profit and then a complete loss, and by the time my balance had finally vanished I was reminded what a boring, mindless way to gamble it was. While I was silently and joylessly doing my money, elsewhere in the shop there was a FOBT that had some kind of shield around it so the user could not be seen. He could, however, be heard. First some muttering, then the odd sound of hand making contact with whatever compound a FOBT is made of, and then full-on swearing. After a while the man who was finding it all such an ordeal popped out and told the manager he wanted the phone number of the company’s chief executive because he intended to complain to him that the machines were bent. The manager responded that the only colleague he would be calling was someone in security because the guy should not be bashing the machines. Peace seemed to break out fairly soon and my first thought was that here was hard evidence that at least one person would be helped by the neutering of FOBTs. But then my lingering concern about the new maximum stake came to mind. This man would no longer be able to go into a betting shop and wager in the kind of volumes that got him so distressed on my visit. But there will be nothing to stop him going onto his laptop or smartphone and finding an online version of the games he has been playing. And he won’t have a patient soul behind the counter to let off steam in front of, or to warn him to calm down. And he can play roulette, or whatever his poison is, whenever he likes, including if he has had plenty to drink. Time will tell how successful the new staking restrictions are in solving problem gambling. I hope the answer is very, and in view of the damage the changes are bound to make to racing’s financial wellbeing and the impending loss of employment among betting shop staff there needs to be some good coming out of it. But I remain concerned that the problem will, to a significant extent, be switched from shops to the silent, cashless world of digital, and that not everyone whose life has been ruined by the machines will be rescued from harm. One of the funniest occurrences in sport is when a bowler runs out the non-striking batsman after he has strayed out of his crease before the ball has been delivered. It is known as Mankading and whenever it happens millions of cricketing traditionalists totally lose their heads and start reacting as though the bowler has thrown a panda cub off a cliff. That was the case on Monday when Ravi Ashwin dismissed an enraged Jos Buttler by whipping off the bails when the England star was edging towards the other end. The reaction around the world echoed that of Buttler, who appeared to pull out every swear word invented on his way back to the ropes, with Shane Warne summing up the thoughts of plenty in claiming Ashwin had acted in a way that was against the spirit of the game. This idea that cricket has some kind of spirit that sets it apart from other sports is delusional and needs addressing. Because until they stop the glorification of slip cordons taunting batsmen about everything from their mental health to their sexuality, until bowlers stop threatening to break batsmen’s bones, and until players stop using sandpaper hidden in their pockets to alter the condition of the ball, we can stop worrying about the ethics of punishing non-striking batsmen for failing to adhere to the extremely basic rule that they must stay in their crease until the ball has left the bowler’s hand. The rule exists for a valid reason. Without it non-strikers could just wander up to the other end at their leisure, negating the possibility of them being run out if the other batsman chanced a quick single. It has been claimed this was a particularly dastardly Mankad in that Ashwin appeared to throw a bit of a dummy and delay releasing the ball, thus catching Buttler napping as he strayed out of his ground. But regardless of that it really isn’t difficult to keep your bat the right side of the white line until the bowler has let the ball go. By contrast it is really difficult to fathom why everyone goes bananas when players who fail to do so are run out in this perfectly legitimate way. It has been ages since watching the England football team was such a pleasurable experience and, after decades of dismay, long may that last. This is not the most talented squad I have seen but it is undoubtedly the most cohesive, focused and bold. Gareth Southgate’s players are confident in possession, supportive to those on the ball, and industrious and organised when the opposition are trying to create attacks. They conceded a poor goal against Montenegro on Monday but otherwise barely put a foot wrong and go into this summer’s Nations League finals and next year’s European Championship tournament with bright prospects of victory. When John Stones and Joe Gomez are back to strengthen the central defensive area they will be even more formidable than they were in their two recent assignments, and it was a joy to see brilliant young wingers Jadon Sancho and Callum Hudson-Odoi perform with such fearlessness when given their chance. Declan Rice provides an excellent solution to what was a problem in terms of the lack of quality in the engine room and there has rarely been such an array of decent options at full-back, particularly on the right. This being England, it could of course all go hideously wrong, but it feels different this time. There seems to be a genuine sense of collective purpose in the squad, and a lack of egos. There’s a plan, a style, and it is great to see. Many of us who have had our attitude to the national team soured by one woeful disappointment after another are now re-engaged, and it is genuinely exciting to see what Southgate’s side can go on to achieve between now and the 2022 World Cup.